You have ALL the time and energy in the world to focus on yourself, your clients, and spend time with your loved ones. You get to do what you want, when you want, RIGHT?! You’re trapped by your success and business and feeling unsatisfied, unloved and overwhelmed. You are unfulfilled and you don’t know how or what to do to satisfy it. 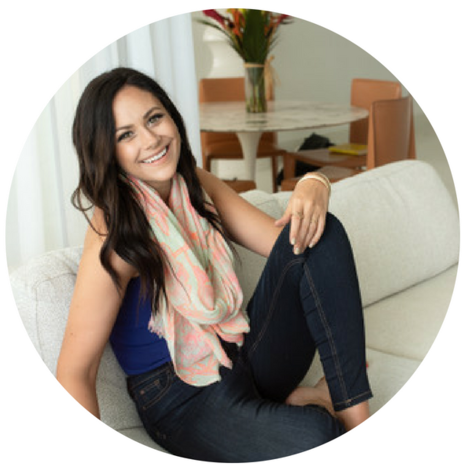 I help high achieving, successful women to reconnect with themselves, redefine their success, manage their time and energy and improve their relationships so they can feel fulfilled, loved and FREE. You became an entrepreneur for a reason… not to be going through the motions, getting lost in your business and losing connection to not only your loved ones but to YOURSELF! strengthening the connection between you and your loved ones, being fulfilled and happy within your life. having the freedom to do what you want to do at any moment without any restrictions. Join this amazing supportive group of female coaches and entrepreneurs that are seeking advice and support in expanding their energetic capacity, increasing their vibration & frequency, mastering their mindset and being of highest service to their clients. For the driven, female coach or entrepreneur who is ready to breakthrough their resistance, remove past traumas, empower themselves and align their energy to start living their abundant and prosperous dream life. If you are interested in self development, growth, expansion and up-leveling within your Health, Life & Biz this is the service for you! Looking for an expert to speak about energy, alignment, balance, manifestation and mindset? How it impacts every aspect of our Health, Life and Business from a sense of reliability and knowledge, you have come to the right place! Have me as a Guest Speaker in your Group Program, Podcast, Summit, Mastermind or at a live event or Retreat. Inquire within. "...Over the past 3 months we have worked on everything from my business, personal life and health. With Jaime's support I am able to connect to my guides and dad for answers to questions that help me move forward in every area of my life. We've worked through everything from what's at the core of an ongoing skin problem (with answers as to how to fix it! ), planning travel, hiring team members, working through some pretty big business decisions and even specific yays or nays of my personal life. Jaime has an incredible ability to tap into my energy at any time and to not only communicate with me messages from the other side -- but from my own body. She is an incredible mentor and is also teaching me the tools and techniques to able to tap into my own intuition and connection to Spirit. As a coach, this has been a huge benefit to my clients as I am now better able to guide them through my intuition and teach them to tap into theirs too! “The work Jaime and I have done together has been absolutely pivotal for my business. I have been able to overcome so many roadblocks that were holding me back both personally and professionally, and she helped me to totally step into my power as a business owner. 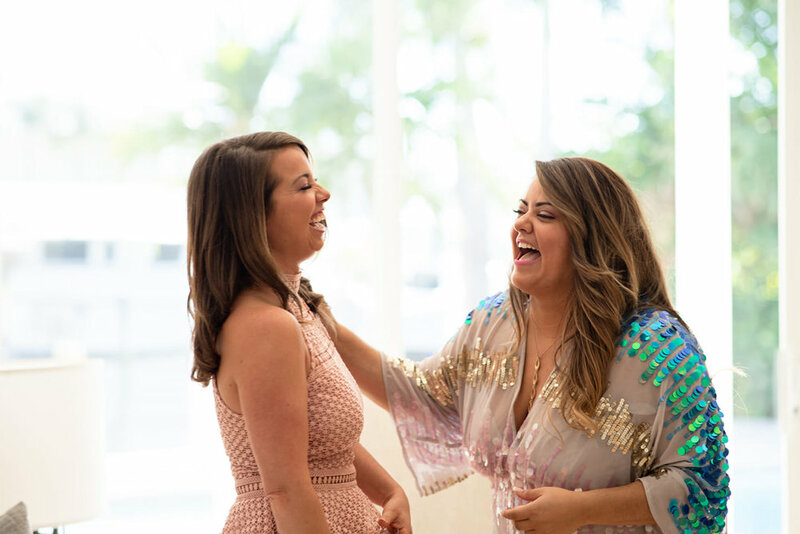 I used to have a lot of fears around having enough energy and capacity to really expand my business, and she has helped me totally bust those. After not booking any new coaching clients for months, we spent ONE session clearing the resistance I was holding onto and I booked 3 clients within a WEEK. Thanks to Jaime I am more confident, energized, and empowered to take my business to the next level in a way that feels easy and playful. The blocks we were able to break through together left me feeling lighter and more at ease than I have ever felt! I feel more connected in all aspects of my life, and the continuing benefits to both my happiness and productivity have been astonishing!" "Working with Jaime has been nothing short of life-changing for me! After only ONE session of working with Jaime, I was able to address, revisit and fully heal a past trauma that occurred in my life 25 years earlier that was affecting my relationships, my business and my sense of self-worth. After the session, I was able to reclaim my energy, my wellbeing and dramatically improve my self-worth. In working with Jaime, I was able to heal past relationship issues, open myself up to abundance in my business by booking in more clients and increasing my monthly income, balance my energy so that I would be able to take on a heavier client load and step into who I am truly meant to be in this world. Jaime’s beautifully caring and open spirit was the perfect match to help me process and move past these blocks that have been holding me back for most of my life. It’s hard to put into words just how much she has positively impacted my life and opened my heart. I am forever grateful for opening myself up to work with Jaime, as my life is forever changed." 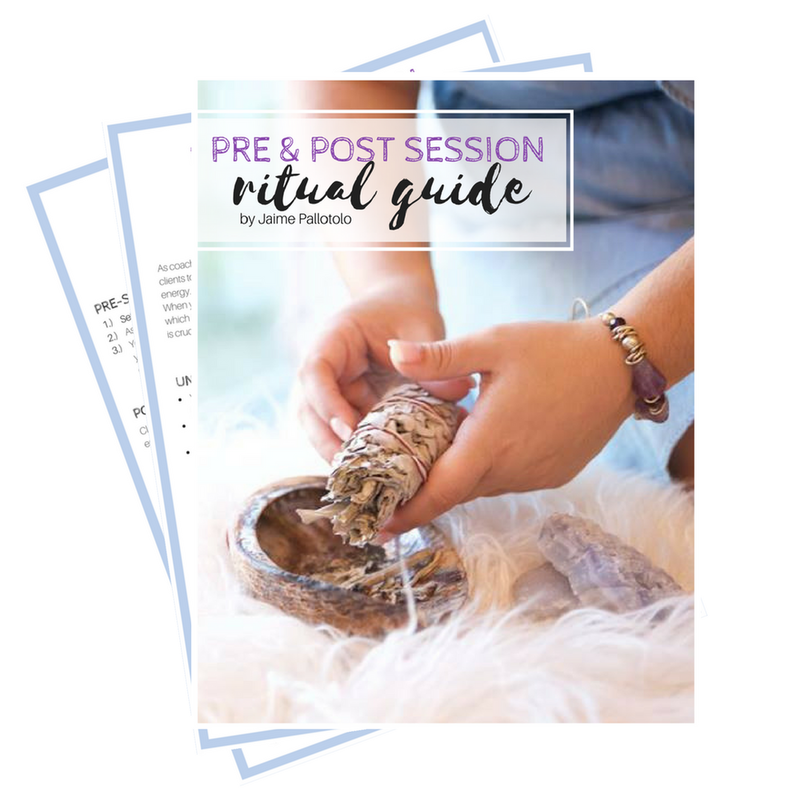 This detailed Step-by-Step Pre & Post Session Ritual Guide consists of the first steps in creating personal energetic boundaries as well as Pre & Post Session Rituals to implement so you can create a safe environment for you and your clients, without having your energy drained.